· Preliminary estimates from the Kansas Department of Labor show a seasonally adjusted unemployment rate of 3.4 percent in February. This was unchanged from the previous month and down from 3.5 percent in February 2018. (Kansas Department of Labor). · Since February 2018, Kansas has gained 8,800 seasonally adjusted total nonfarm jobs and 7,200 private sector jobs (Kansas Department of Labor). This week in the Senate we were able to recognize Nicole Konoeplko on being named the 2019 Kansas Student Journalist of the Year Award. If the page above asks for a Kansas Library eCard number, you may get one at any library in Kansas. Most people will be automatically recognized as being in Kansas and will not need this step. Questions: kslc@ks.gov or 785-296-3296. EXTENDING RURAL OPPORTUNITY ZONE PROGRAM (SB 125): Senate Bill 125 would extend the Rural Opportunity Zone Program by five years. SB 125 extends the deadline for a participant to begin in the student loan repayment portion of the program to July 1, 2026 and the individual income tax credit portion of the program would be extended through tax year 2026. This bill passed the Senate 29-11(This is a bill that I sponsored and voted in favor of). ADDING CERTAIN COUNTIES TO LIST OF RURAL OPPORTUNITY ZONES (SB 135): Senate Bill 135 would expand the list of eligible counties for participation in the Rural Opportunity Zone (ROZ) Program. SB 135 would add the following counties: Atchison, Cowley, Crawford, Dickinson, Ford, Franklin, Miami, Pottawatomie. This bill passed the Senate 30-8(This is a bill that I sponsored and voted in favor of). THE KANSAS CLOSED CASE TASK FORCE (SB 102): Senate Bill 102 would create the Kansas Closed Case Task Force. SB 102 requires the task force to create a plan relating to hits on closed cases, including a mechanism to ensure uniform compliance at the local law enforcement agency level. This bill was passed and placed on the Consent Calendar 38-1(I voted in favor of this bill). ALCOHOLIC BEVERAGE CONTROL LICENSES (SB 164): Senate Bill 164 would amend law relating to the issuance of licenses by the Division of Alcoholic Beverage Control (ABC) within the Department of Revenue, by providing license terms commence on the effective date specified on the license. Currently, the license term commences on the date the license is issued by the Director of Alcoholic Beverage Control. SB 164 also provides that licenses for Class B clubs, drinking establishments, public venues, and caterers will be issued for two years commencing on the effective date specified on the license. Current law provides such licenses expire two years after issuance. This bill was passed and placed on the Consent Calendar 39-0. CALCULATING COST OF KEEPING CIVIL PRISONERS IN COUNTY JAIL (HB 2097): House Bill 2097 amends law relating to the cost of keeping civil prisoners in county jail. 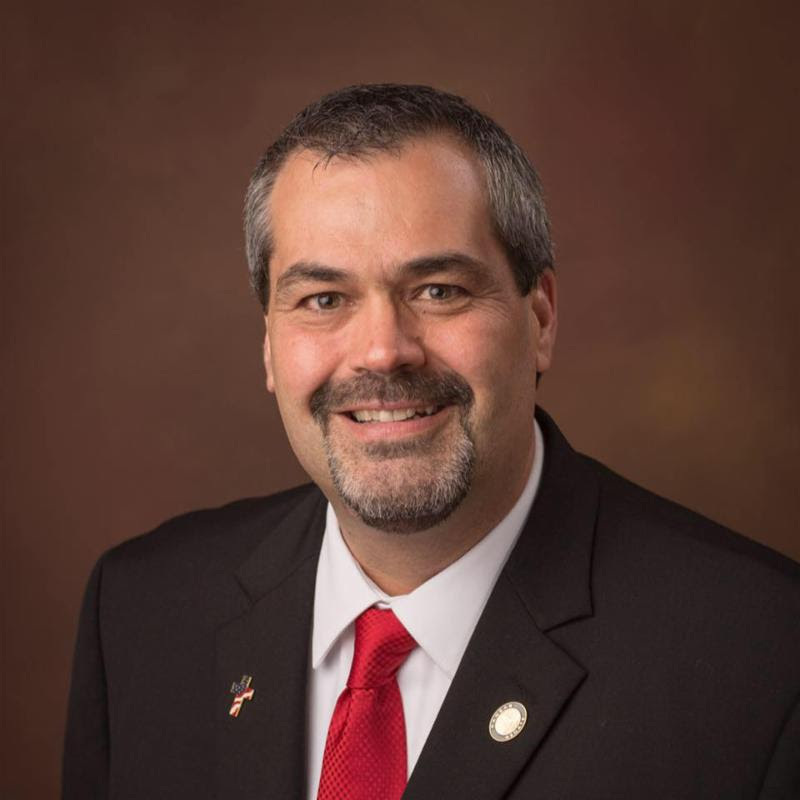 HB 2097 changes the amount taxed as costs in an action for keeping a civil defendant imprisoned in county jail from $1.50 per day to an amount equal to that provided by the county for the maintenance of other prisoners. The bill also requires the same provision be made for civil prisoners as made for other county prisoners. This bill was passed and placed on the Consent Calendar 39-0. AMENDING THE KANSAS NATIONAL GUARD EDUCATIONAL ASSISTANCE PROGRAM (HB 2123): House Bill 2123 would remove the requirement that an eligible Kansas National Guard member have at least one year remaining on such member’s enlistment contract at the beginning of any semester for which the member receives assistance under the Kansas National Guard Educational Assistance Program to participate. This bill was passed and placed on the Consent Calendar 39-0. ELIMINATING MARKING REQUIREMENTS FOR CERTAIN TRUCKS (HB 2127): House Bill 2127 would remove statutory requirements for lettering to be painted or otherwise durably marked on the sides of a truck or truck tractor with a registered weight of more than 12,000 pounds to identify owner or lessee. HB 2127 also removes requirements for findings by the Division of Vehicles regarding insignia or trademarks on such a vehicle and associated permits. This bill was passed and placed on the Consent Calendar 39-0. SALES TAX EXEMPTION FOR NONPROFIT INTEGRATED COMMUNITY CARE ORGANIZATIONS (SB 178): Senate Bill 178 would provide a sales tax exemption for purchases made by nonprofit integrated community care organizations. Nonprofit integrated community care organizations would be defined as any entity that is exempt from federal income taxation, certified to participant in Medicare as a hospice focused on providing care to the aging and indigent population across multiple counties, and approved by the Kansas Department of Aging and Disability Services to provide services under the Program of All-Inclusive Care for the Elderly. This bill passed the Senate 39-0. REGULATING USE OF ELECTRIC SCOOTERS (HB 2126): House Bill 2126 regulates the use of electric scooters. HB 2126 prohibits any person from operating an electric scooter on any interstate highway, federal highway, or state highway. The bill also allows the governing body of a city or county to adopt an ordinance or resolution further restricting or prohibiting the use of electric scooters on public highways, streets, or sidewalks within such cities or counties. HB 2126 would apply traffic regulations applicable to bicycles to electric scooters. The bill does not prohibit electric scooters from crossing a federal or state highway. This bill passed the Senate 39-0. ALLOWING THE BOARD OF REGENTS TO PURCHASE CYBERSECURITY (HB 2209): House Bill 2209 would amend law pertaining to the Committee on Surety Bonds and Insurance to permit the Kansas Board of Regents to purchase cybersecurity as they deem necessary to protect student records, labor information, and other statutorily protected data the Kansas Board of Regents maintains. This bill passed the Senate 39-0. On Thursday, the Senate Commerce Committee voted 6-5 to recommend that the nomination of David Toland as Secretary of Commerce be rejected when his confirmation goes before the full Senate for a vote. 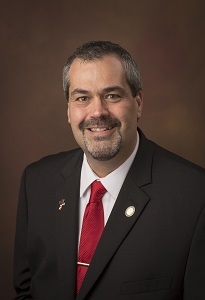 David Toland who was nominated by Governor Laura Kelly to serve as her Secretary of Commerce, is from Iola, Kansas and served as Executive Director for Thrive Allen County, an economic development entity. Thank you for all your calls, emails, and letters regarding your thoughts and concerns about happenings in Kansas. Constituent correspondence helps inform my decision-making process and is taken into great consideration when I cast my vote in the Kansas Senate. I hope you’ll continue to engage with me on the issues that matter most to you, your family, and our community. 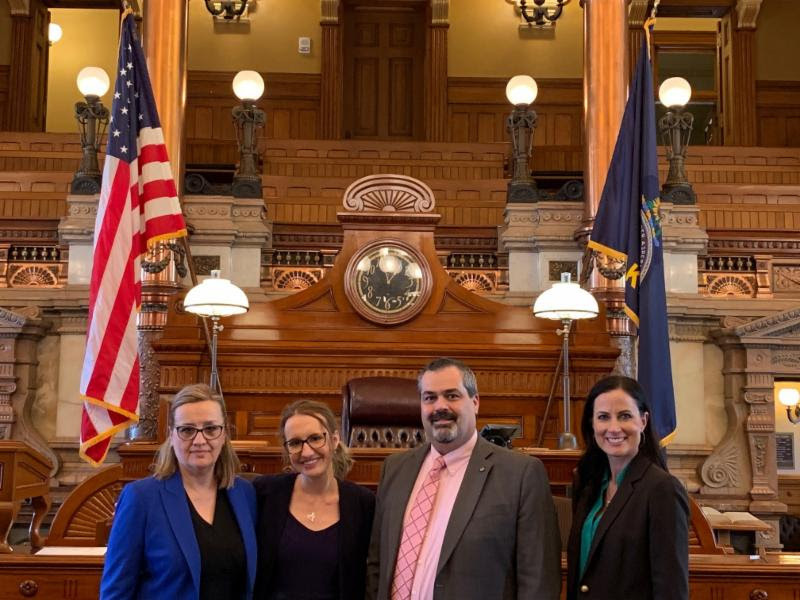 If you are on Twitter or Facebook, I encourage you to follow along with the #ksleg hashtag for real-time updates on legislative happenings in Topeka. Please know that I am fully committed to addressing the current issues in our state, and I am proud to be your voice in the Kansas Senate.